Will you join us in helping her celebrate the opening of her new gallery? Bartek Prusiewicz collects tin wind-up toys, vintage comics, science fiction posters, and 19th century ephemera. 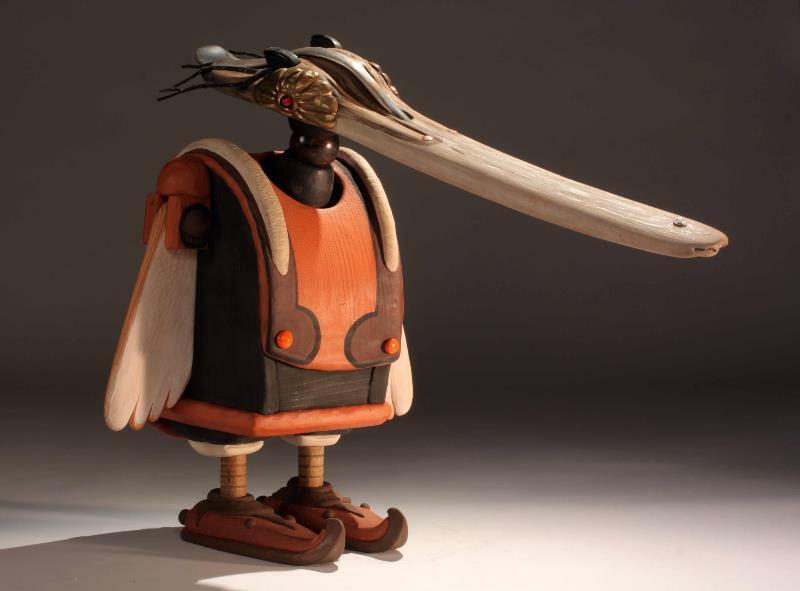 His work, crafted of ceramics and wood, re-imagines the forms of early and mid-century science fiction, embodying a sense of futuristic nostalgia. He has a honed sense of dark and naturalistic whimsy, having worked on stop-motion animations for the films ParaNorman, Coraline, A Very Harold & Kumar 3D Christmas and Creature Comforts America.